Neoss Australia & New Zealand are preparing to host what has been heralded as the “best conference ever” by previous attendees - and it is not difficult to see why. With an opulent venue (the Palazzo Versace Gold Coast) and a programme packed with lectures and workshops from some of the biggest names in implant dentistry, the third-ever SMS Neoss event is already setting up to be even bigger and better than previous SMS events in 2012 and 2015. Taking place from 17-19 May, the 2019 conference will focus on the theme of Navigating the Future. Clinicians and academics from around the world will converge on the beautiful Queensland Gold Coast to exchange their views on state-of-the-art implant dentistry, and to discuss future trends in surgery and prosthodontics. Dr. Tony Strangio: “Complete Implant Rehabilitation in the Digital Era.”The digital era has helped shape modern dentistry with evolving planning software and prosthetic solutions. The lecture will discuss some new concepts and evolving trends involving the edentulous arch. Whether performing conventional or alternative techniques, the goal is still to maintain a prosthetic outcome which is in harmony with the face, lips and smile. A short review of the literature together with case series will be presented. Prof. Christer Dahlin: “Role of barrier membranes in GBR – the biological principle revisited.” This presentation will address the most recent findings within the field of guided bone regeneration (GBR) and discuss how this will affect the clinical use of membranes. The speaker will also address the design of the next generation of barrier membranes. Dr. Jakob Zwaan: “Digital: Speeding along the digital highway with a smile on your face.”In a world of rapidly evolving technologies, maxillofacial surgeons, periodontists, prosthodontists, and dental technicians can interact in the same digital patient file to obtain a multi-specialist diagnosis and treatment plan. This presentation aims to indicate values and risks of digitizing dentistry and will identify the most important obstacles, from the initial diagnostic stages through to the delivery of the final prosthesis, underlining the importance of constant communication between dental practice and laboratory. That is not to say that there won’t be some fun mixed in to the weekend-long conference. SMS Neoss would not be complete without the now-renowned Cocktail Reception at Warner Bros. Movie World theme park. All delegates and their families will enjoy free unlimited access to the theme park’s most notorious roller coasters, and an excellent chance to enjoy one of Queensland's top attractions. In addition to the Friday and Saturday lectures (offering 6.5 CPD hours per day), there will be three hands-on workshops on Sunday, 19th May, on topics such as GBR, CAD/CAM, and full end-to-end workflows for implant-retained restorations. Attendees will have the opportunity to have a more intensive training on the topic of their choosing. To register your interest, or get in touch with the Neoss Australia & New Zealand team, visit the SMS NEOSS EVENT PAGE. Who said education can’t be fun! What a stimulating, informative program held in a fantastic venue. 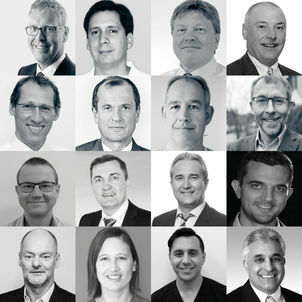 The amazing speaker list, international and local offered practical, real world insights into all aspects of implant dentistry. Throw in great food and a rollercoaster… what more could you want? This is a conference not to be missed.